The was a big 'tell' in FedEx on Tuesday. The shares opened higher, traded to $185 per share at their high of the day and then were hit with massive waves of block selling. Sure enough, FedEx's quarterly results missed earnings and revenue estimates with CFO Alan Graf citing weak global economic conditions. 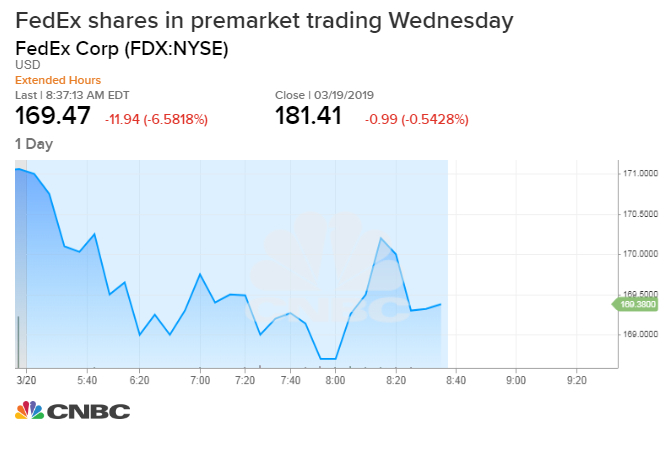 Such was the case of FedEx on Tuesday, as the shares opened higher, traded to $185 at their high of the day and then were hit with massive waves of block selling. It took all of 15 minutes to drive shares off their session highs. The stock closed at $181.41, down slightly, and this was absent any news in the company. Sure enough, FedEx's quarterly results missed earnings and revenue estimates with CFO Alan Graf citing weak global economic conditions. The shares tanked after hours. 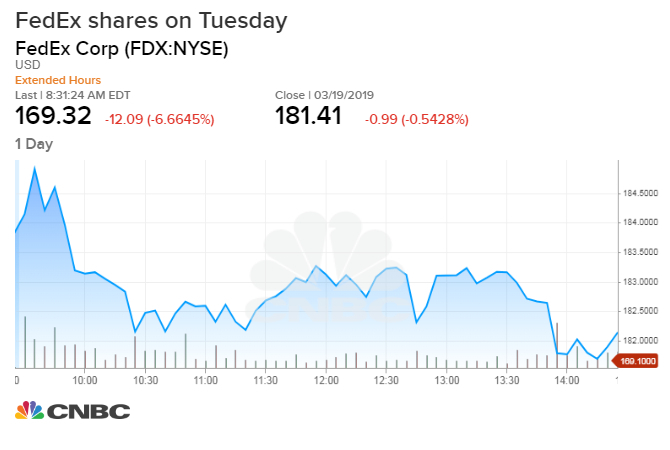 "Slowing international macroeconomic conditions and weaker global trade growth trends continue, as seen in the year-over-year decline in our FedEx Express international revenue," Graf said in a statement.